Several months ago, the quilters and crafters at St. Paul’s in Foley, AL, made a decision that they would like to honor the veterans that were members (or visitors) at St. Paul’s, with a quilt. They have spent the past several months making a patriotic colored quilt in various sizes to present to the veterans, to thank them for their service to God and country. 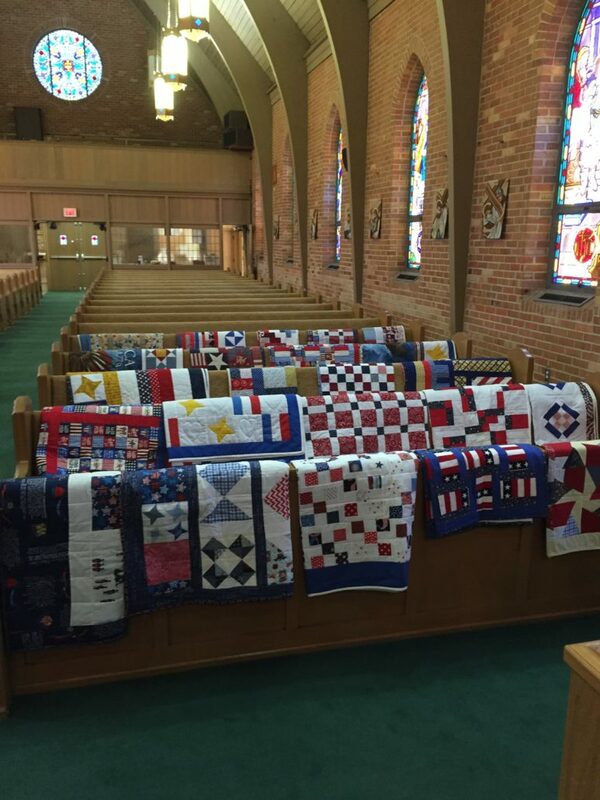 On Sunday, October 22, the veterans who attended the Sunday service were presented their quilts. Those that were not present were given their quilts at a later date. It was a very moving occasion with lots of smiles and tears. Thank you, veterans, for your service!